Giles County, VA- The weather is warming up and participants of the Muddy ACCE Race are reflecting back on the fun times at the inaugural event. Well over 300 participants made lasting memories at the 5k, obstacle course mud run, held on the banks of the New River Water Trail in Glen Lyn. Each month we bring you a story about either the ACCE, Access to Community College Education program or the Muddy ACCE Race event. As warm weather approaches we are thinking to the 2017 event and Jennifer Hockl of Pearisburg, shares some fond memories of her first time participating. Q: Please tell us a little bit about yourself. 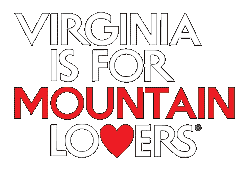 A: I have been a resident of Giles County all my life, 39 years and love the outdoors! I went to school in Narrows & reside now in Pearisburg where both my kids go to Giles High School. However my oldest son is now a student at Virginia Tech after he completed 2 years at New River Community College. Jennifer and friend trudge through one of many mud pits at the 2016 event. Q: How did you participate in the ACCE Program? A: I was a parent, but I also ran the event with friends. Q: Why did you get involved with the Muddy ACCE Race? A: A few friends of mine thought this was a good way to show our support for our kids and community. Also a great way to see how much endurance we could put ourselves through! Q: What is the one thing you’ll take away from the ACCE program or MAR event? A: It is definitely something to reminiscence about!! Especially our facial expressions before, during and after the race!! Q: If you could share a sentiment to those considering the program, perhaps as a student or parent, or considering running in the 2017 event- what would you tell them? A: It is a great way to spend a day with family and friends and a very great way for our kids to get an education with the money raised! I have recruited many others to come join the fun this September! Sitting in a mud pit was better than falling in at the Muddy ACCE Race. The 2017 event will be just as muddy! If you are interested in learning more about the NRCC ACCE program in Giles, please visit www.gilescounty.org. For more information on the 2017 Muddy ACCE Race, www.muddyaccerace.com.